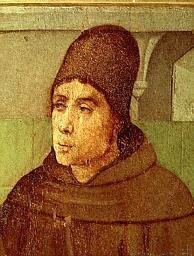 Peter's work De ente is the most extensive account of transcendental being in the fourteenth century. It is a collection of questions that are the product of disputations held in the studium generale in Barcelona. De ente is still unedited, which causes a serious lacuna in the history of the doctrine of the transcendentals in the era after Scotus. Peter also refers to this work as De transcendentibus, and the reason for this title becomes apparent from the prologue, in which he assigns a fundamental epistemological place to the transcendentals. Knowledge of the communia, it is argued, is a precondition for knowledge of the propria. Since transcendentia are the communissima, it is "opportune" for the acquisition of any knowledge whatsoever to deal with them. Among the transcendentals being itself (ens ipsum) has the first and principal place, and the concept of being should therefore be examined first. Peter realized only this first part of the project. De ente comprises fifteen questions. [Lee Faber dicit: actually, there is a sixteenth question found in only one ms. that claims to be a retraction] From the table of questions in the prologue it is evident that their main concern is Scotus's doctrine of the univocity of the concept of "being" and the univocal predication of being. Thomae examines whether the concept of being is one solely "through the unity of equivocation" (q.8), "through the unity of confusion" (q.9) [NB: this is the longest question of the treatise] or "through the unity of univocity" (q.10). He criticizes Auriol's position that the concept of "being" does not have one determinate ratio but is fully indeterminate and possesses only a "unity of confusion". Q.11 ("Whether the univocity of the concept of being is real?") discusses one of the fundamental difficulties in Scotus's doctrine: How can there be a common concept of what is wholly diverse in reality? Thomae argues that there is a real (and not a purely rational) unity corresponding to the univocal cocnept of "being". The common concept must be real, otherwise metaphysics were [sic] not a real science, and the intellect would have no real adequate object. Because of the distance between real being and being of reason Peter denies the possibility of a concept of being univocally common to ens reale and ens rationis in the final question (q.15) [NB: in De modis distinctionum Peter revisits the topic of De ente q.15] The questions 12 and 13 deal with Scotus's questionable claim that being is not predicated in quid of the transcendental propreries of being (q.12) and of the ultimate differences (q.13). Peter Thomae contradicts the opinions of William of Alnwick and Peter Auriol that being is quidditatively predicated of all differences and maintains instead that it is predicated of none. Aertsen doesn't credit Peter Thomae with writing the first independent treatise on the transcendentals; that honor goes to Francis of Meyronnes, though, the date supplied by Dumont for Peter Thomae's treatise is earlier than that supplied for Francis' treatise, but let that pass for now. Neither treatise can be securely dated. Peter Thomae's work is fairly long, roughly half that of Scotus' Reportatio I. So to get a sense of this, just take one of the volumes of the Wolter-Bychkov edition that recently appeared. So the edition will take quite some time.